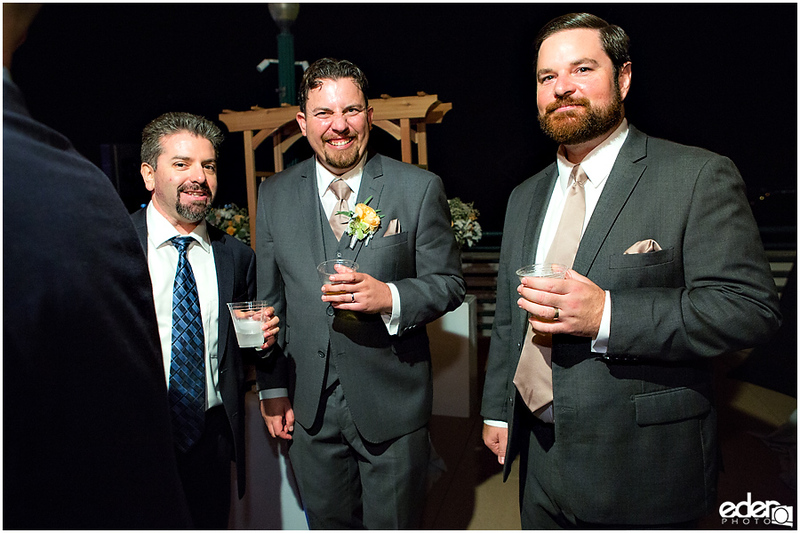 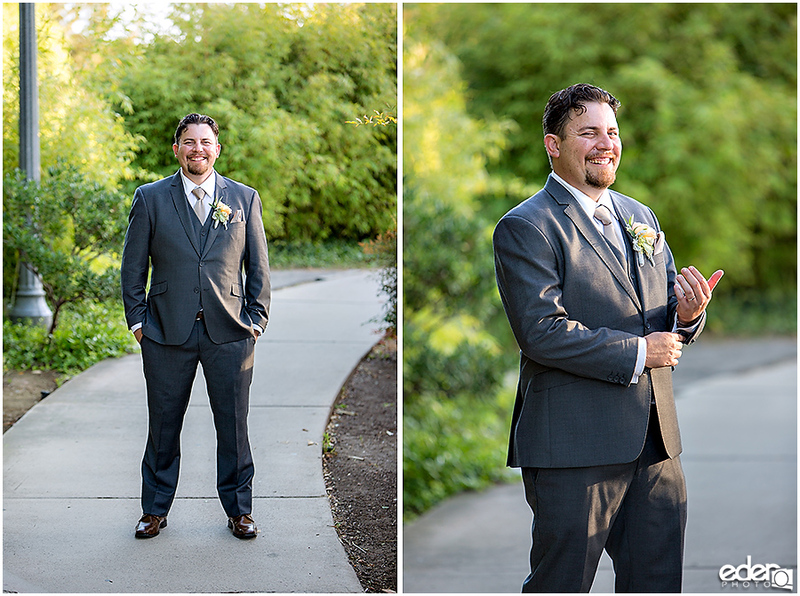 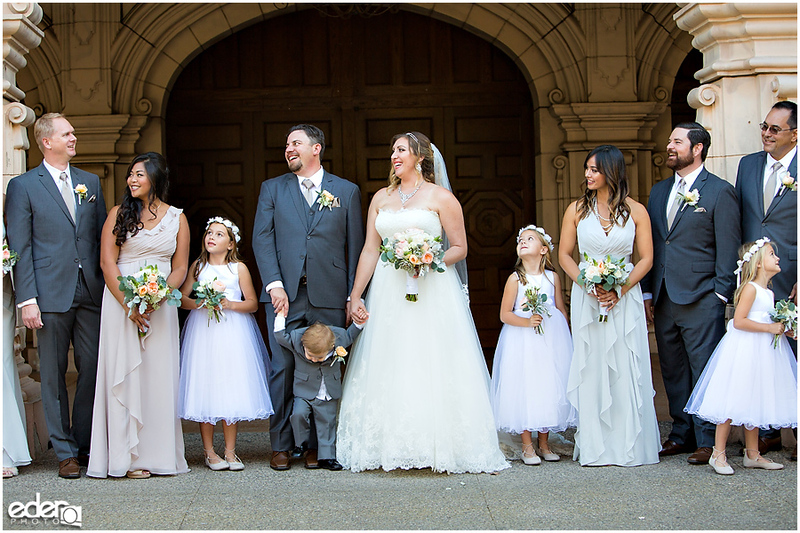 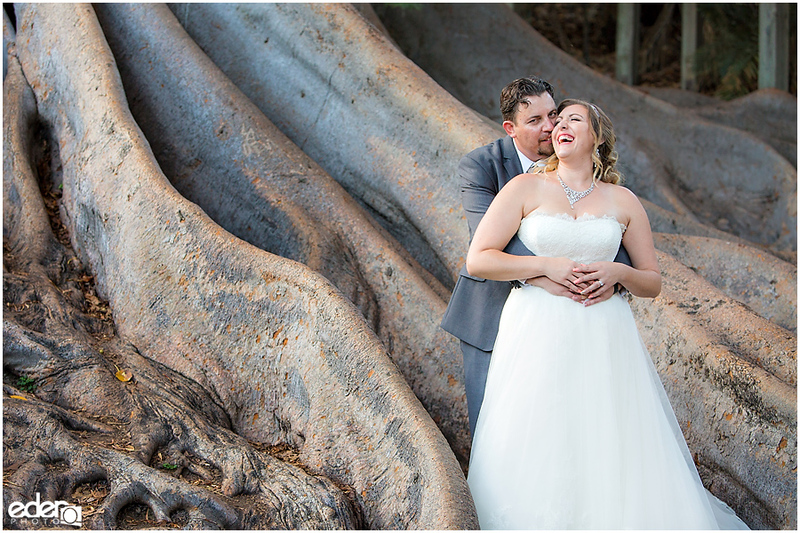 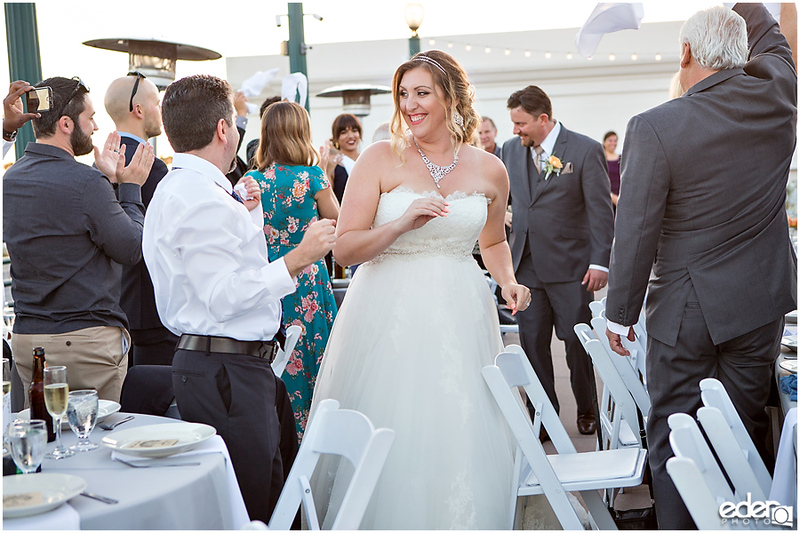 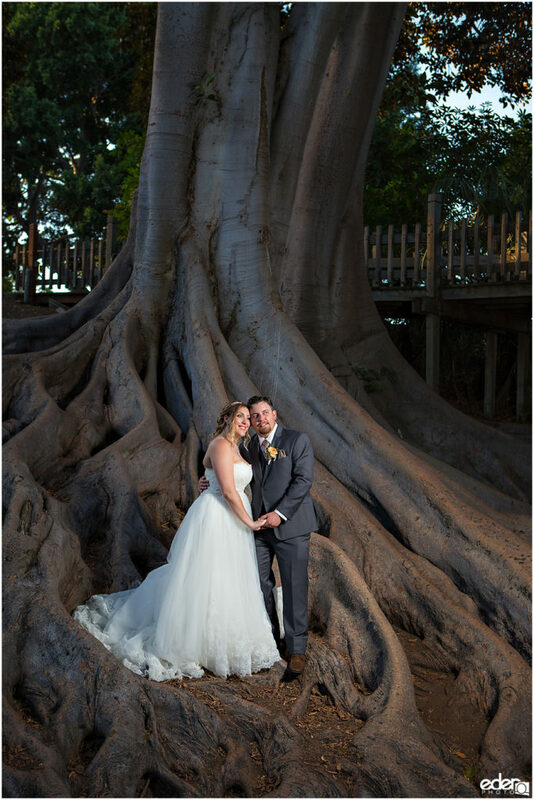 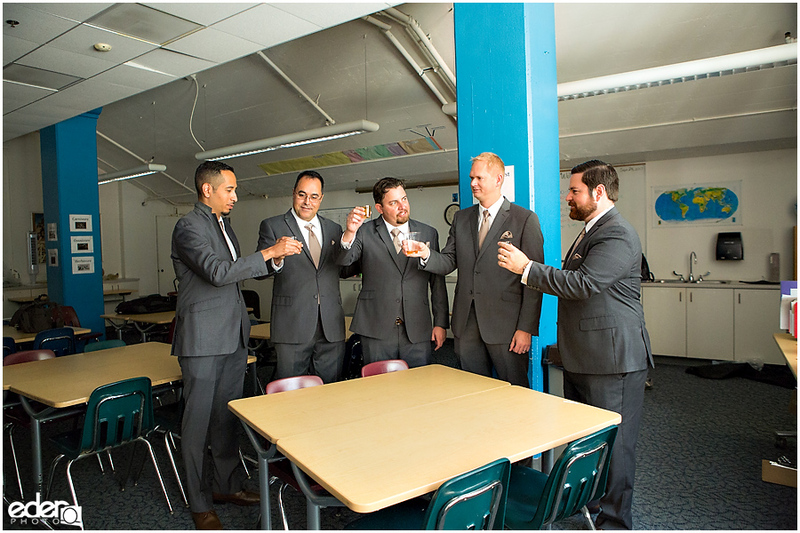 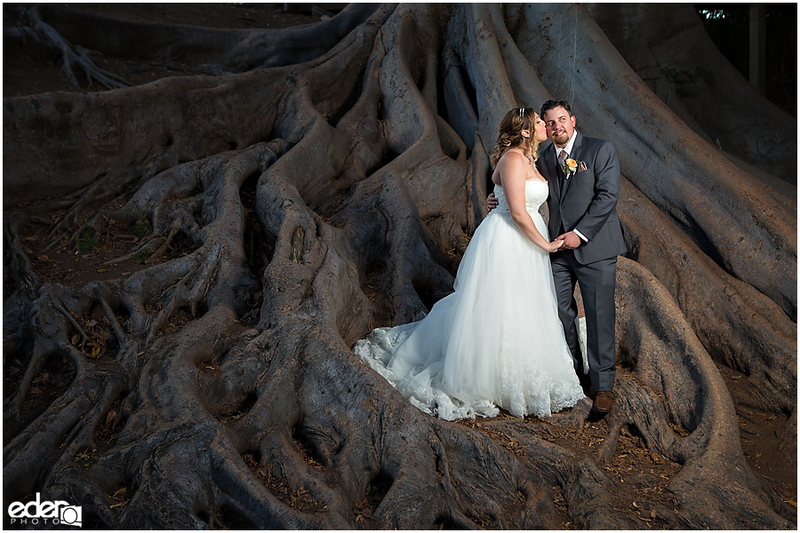 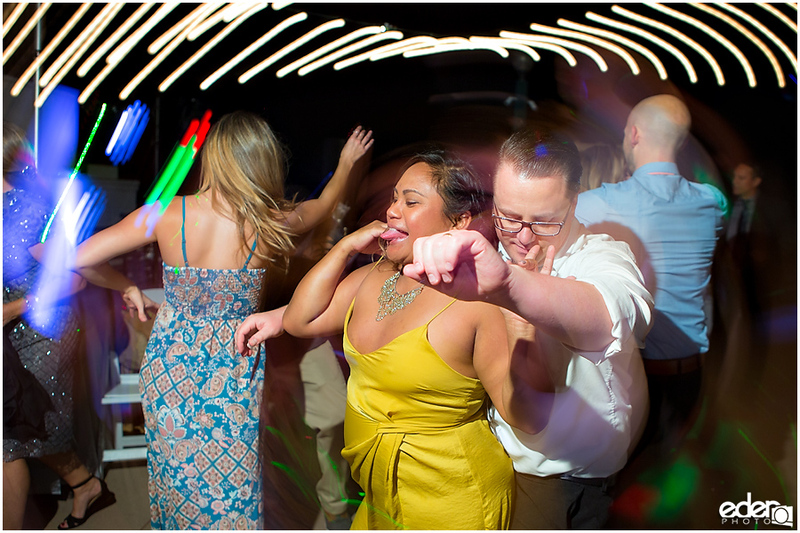 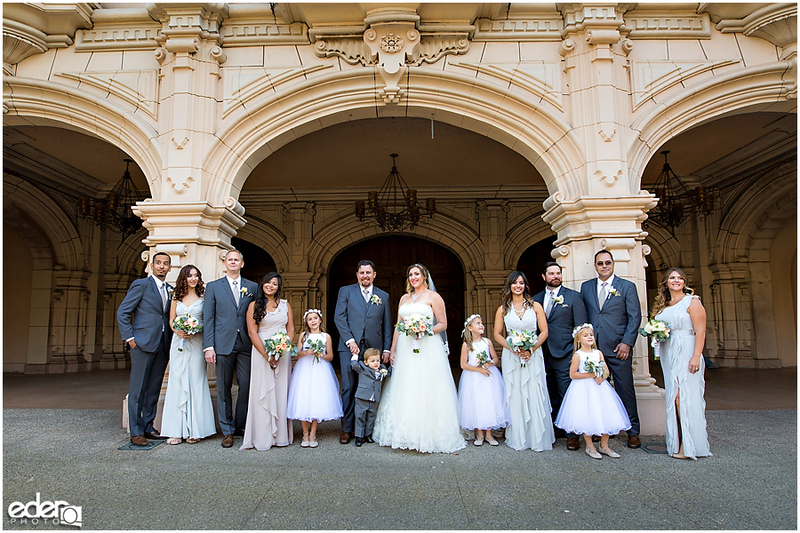 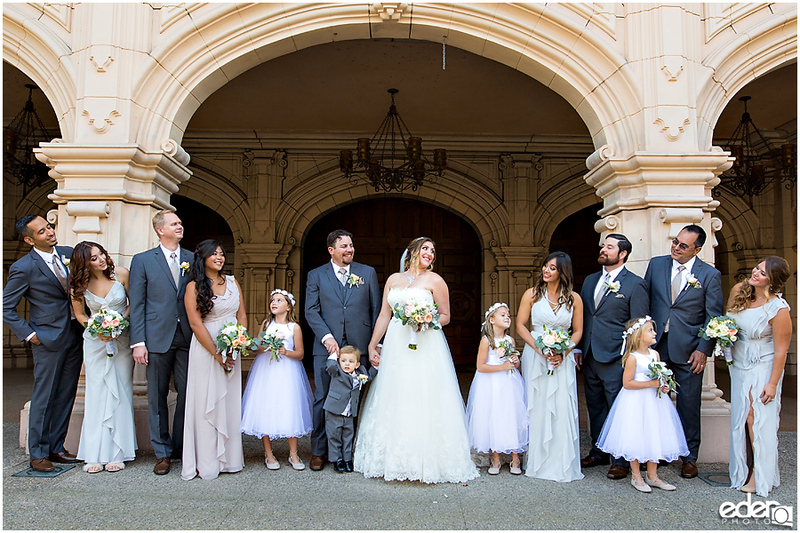 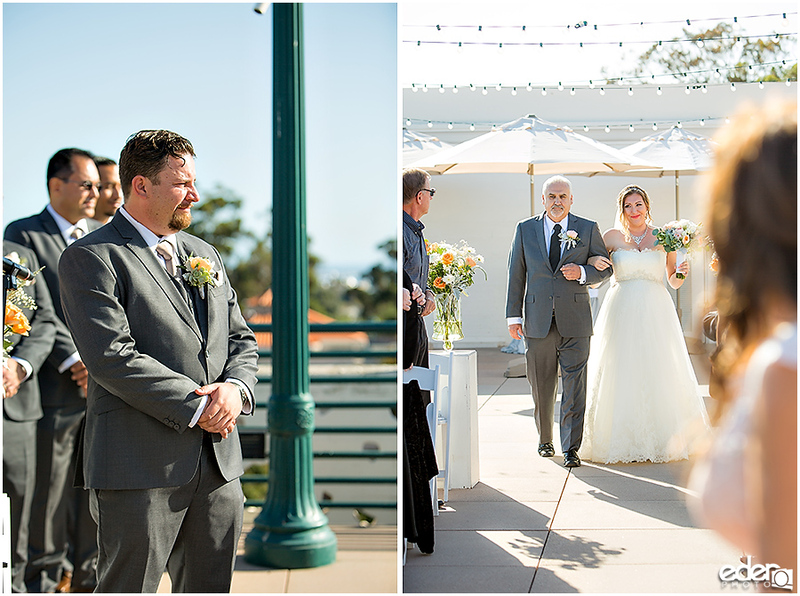 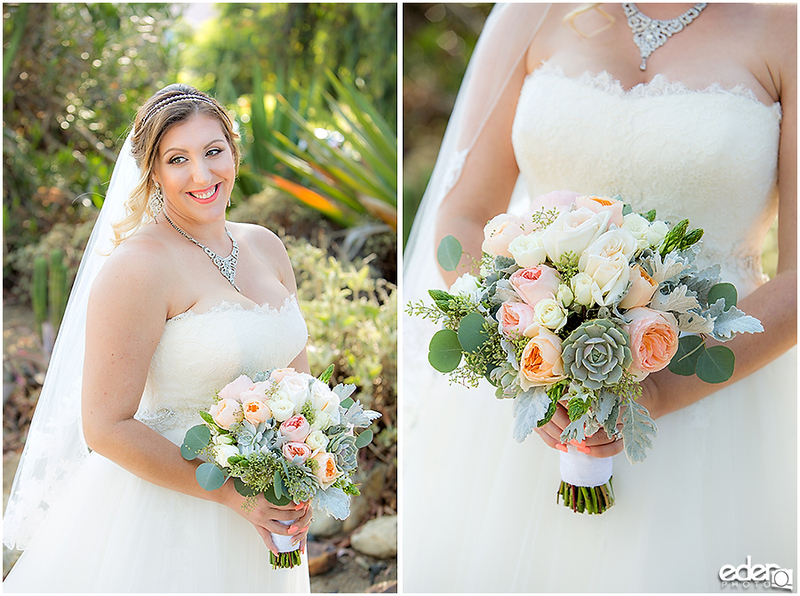 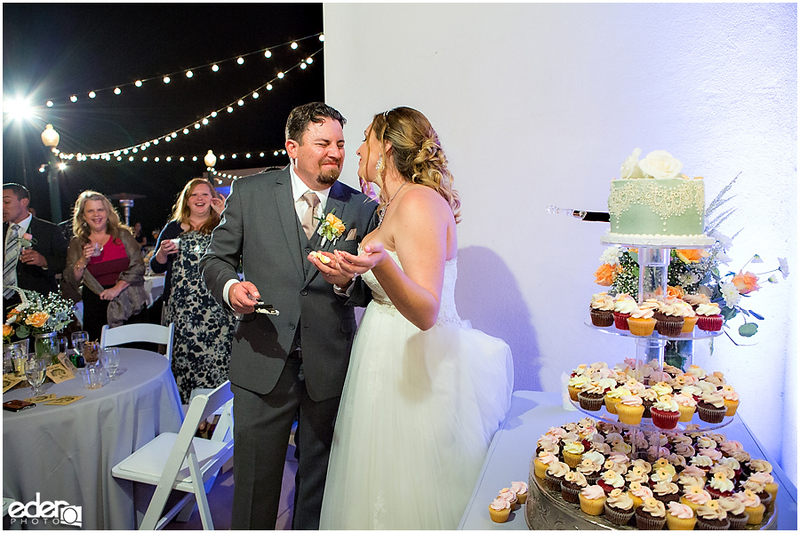 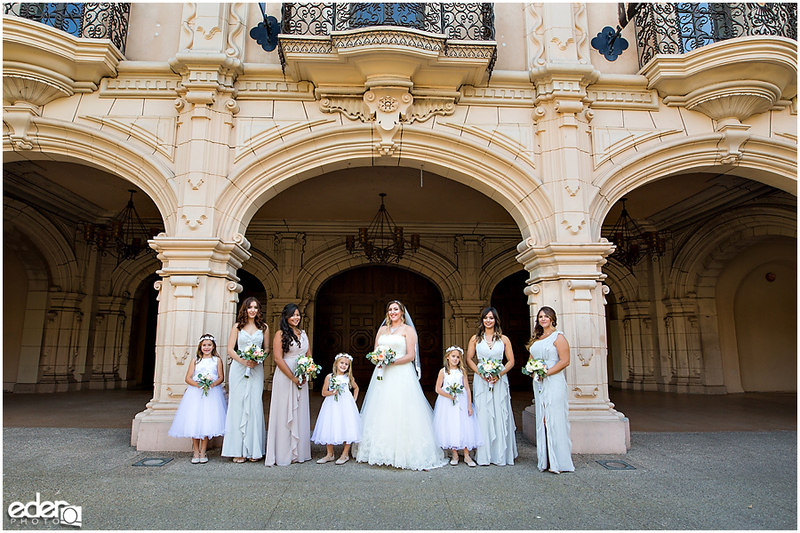 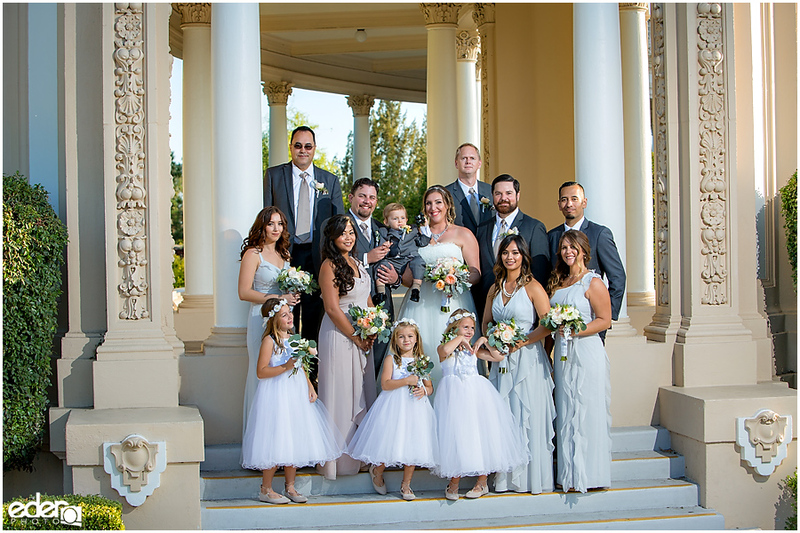 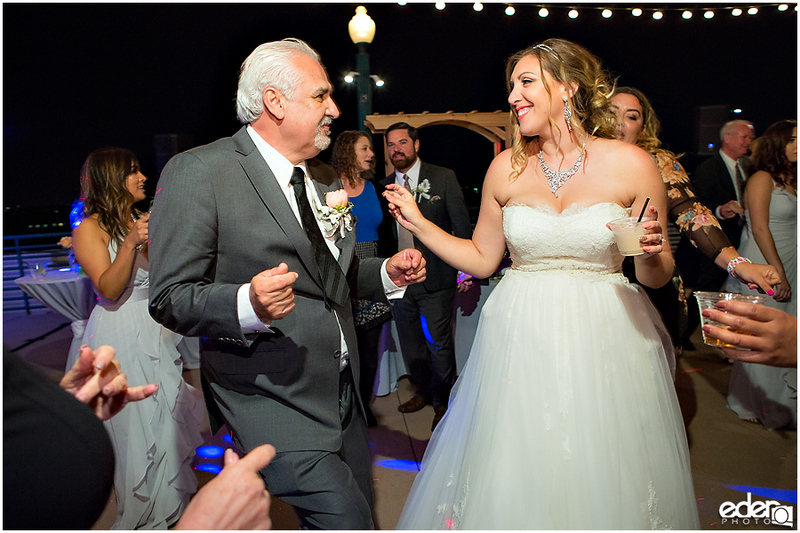 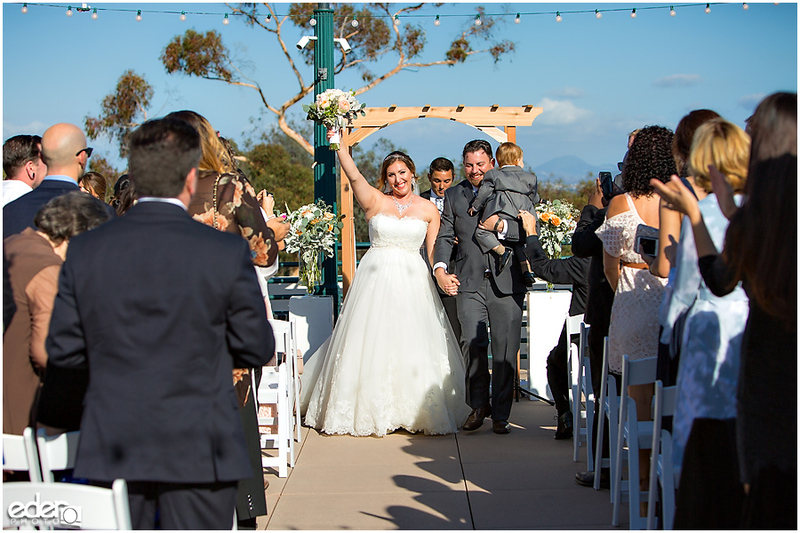 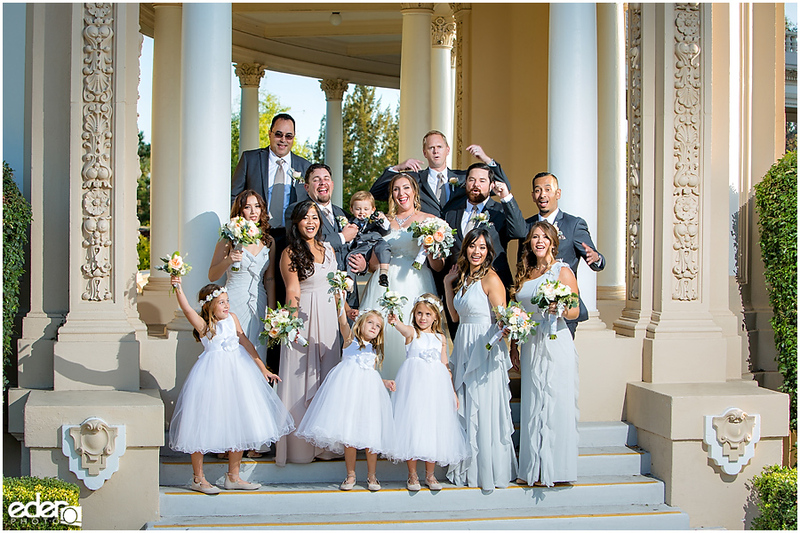 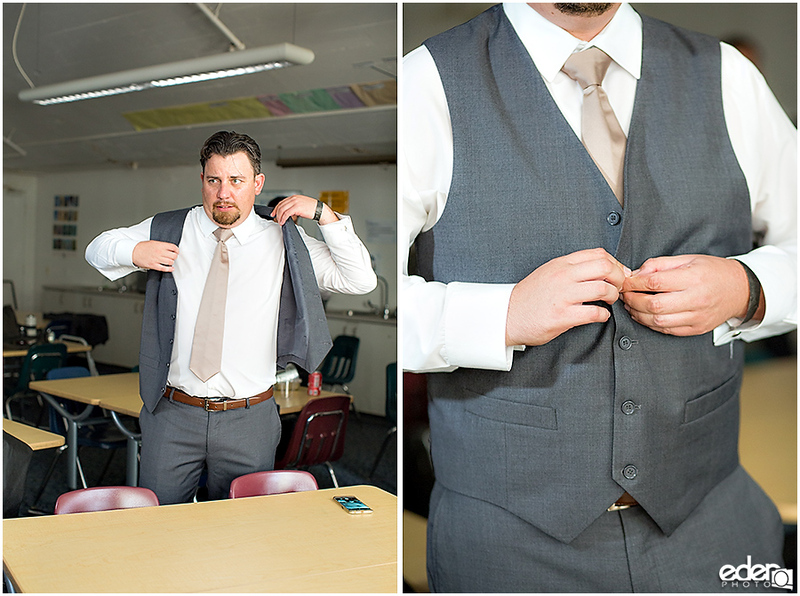 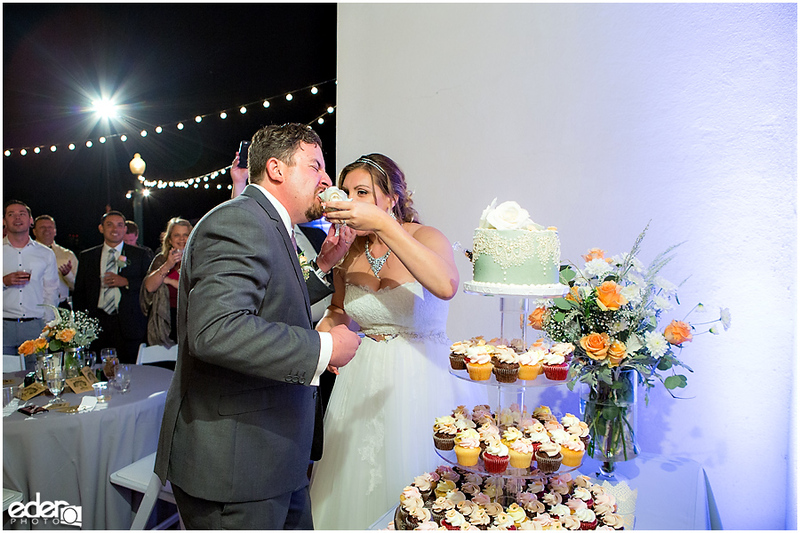 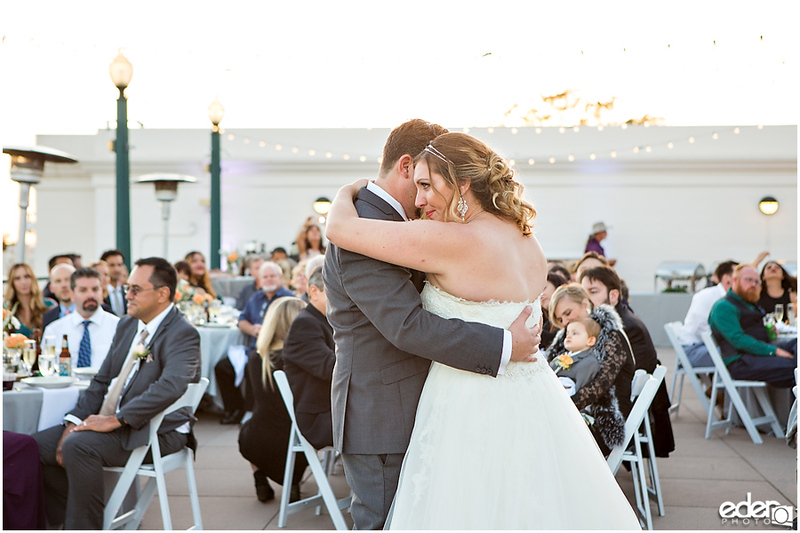 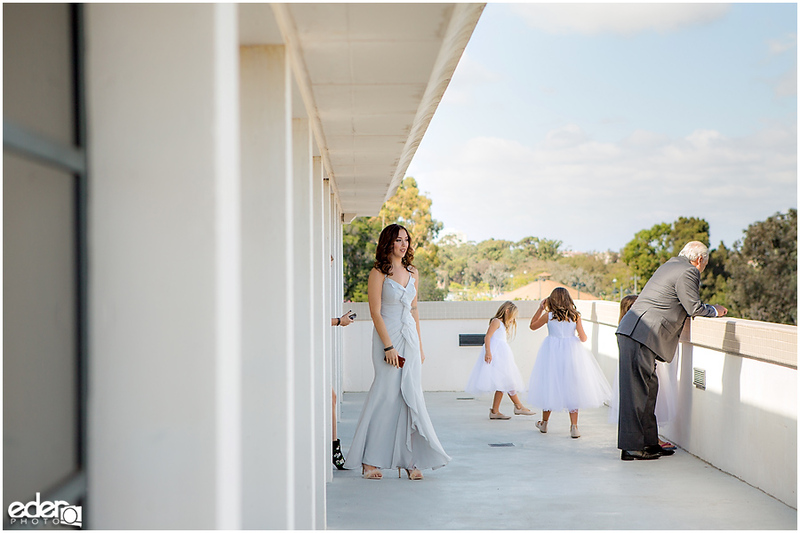 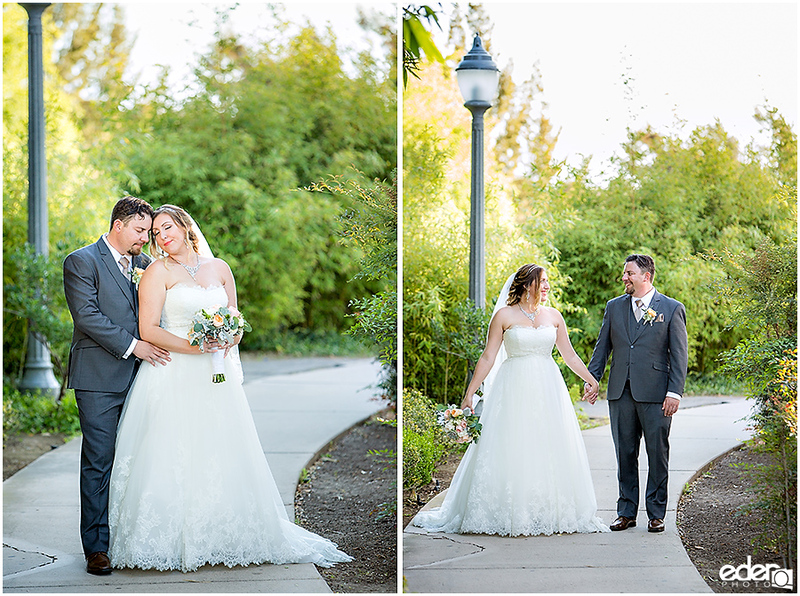 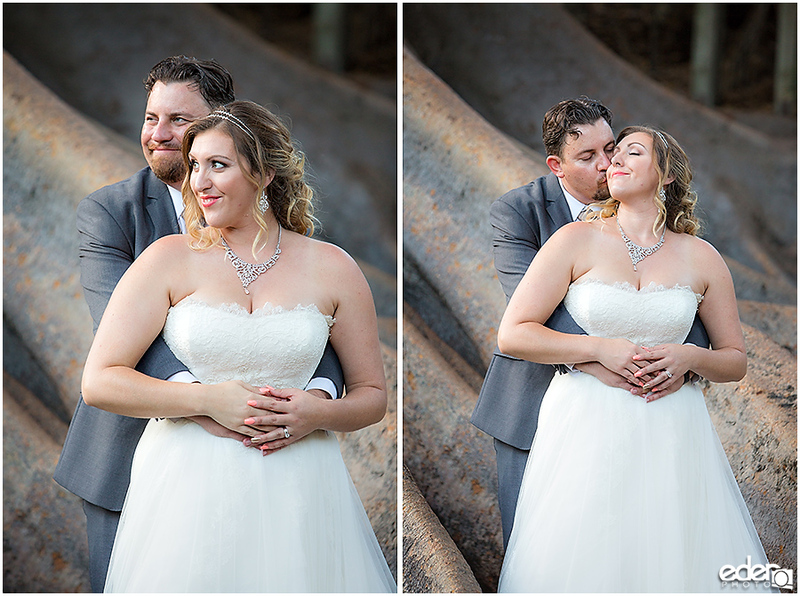 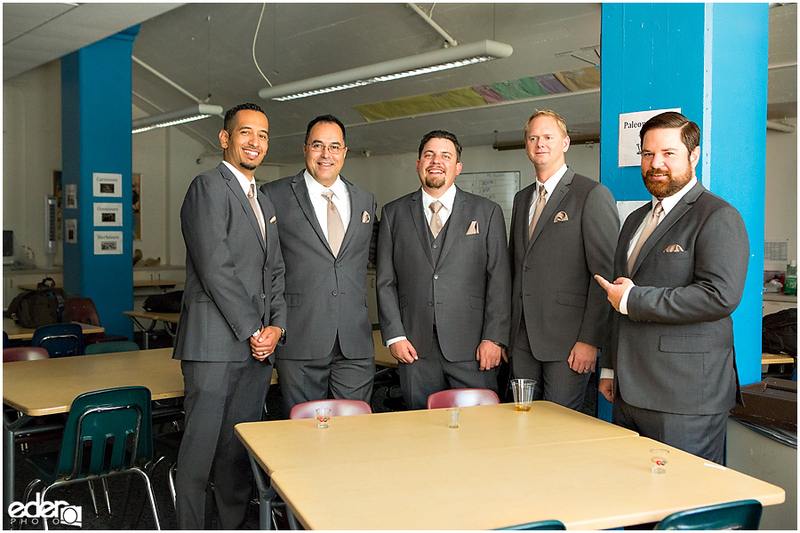 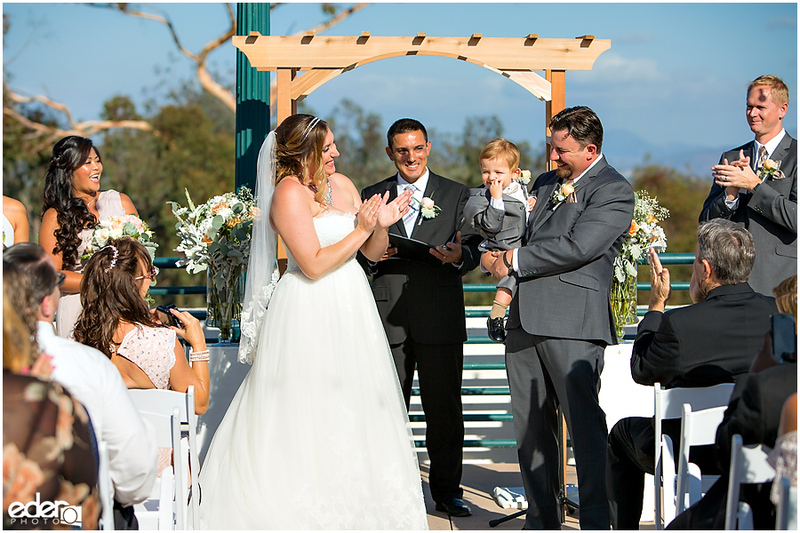 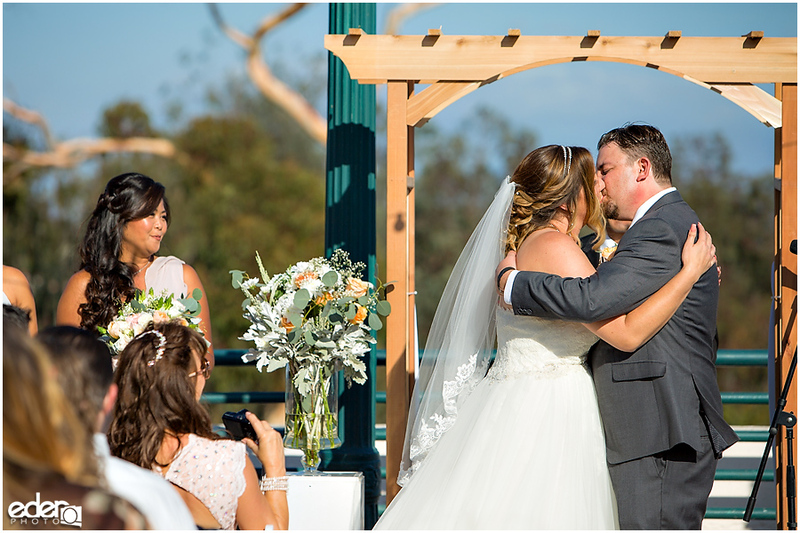 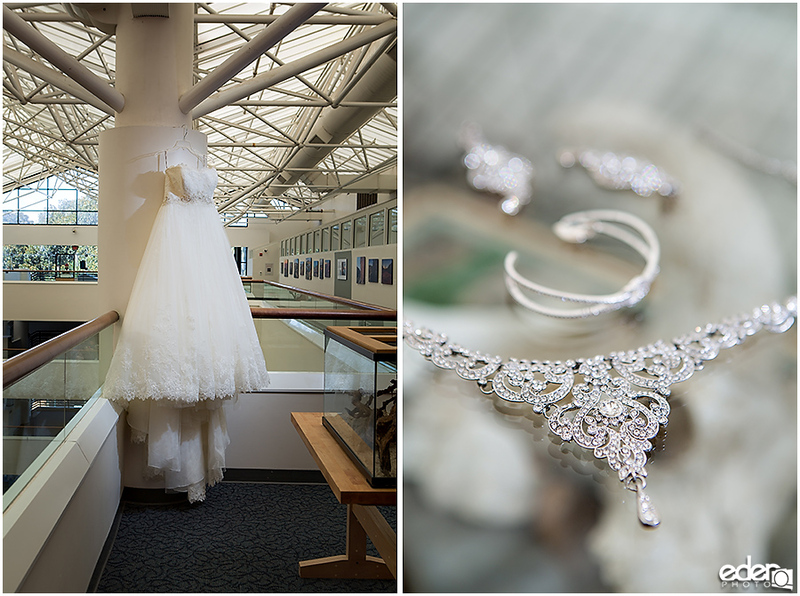 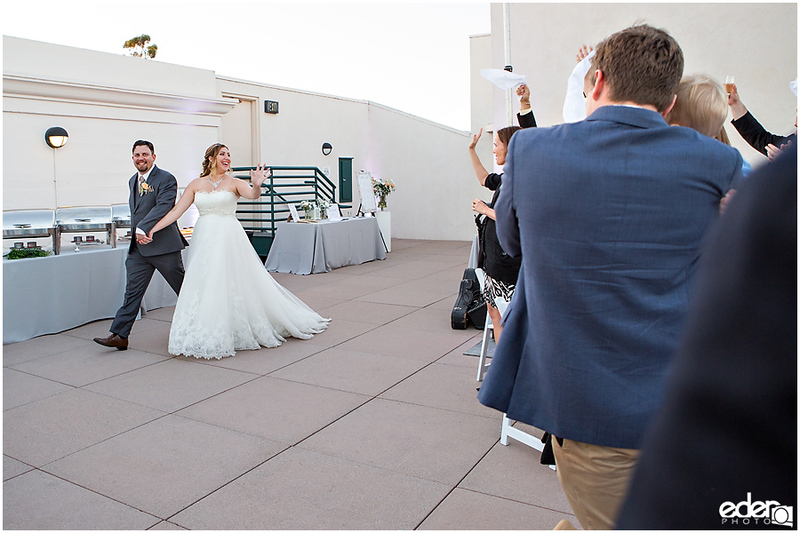 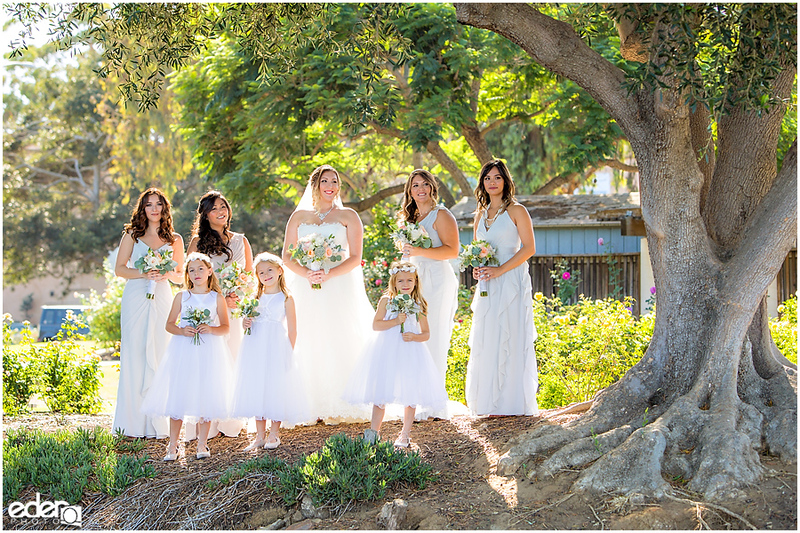 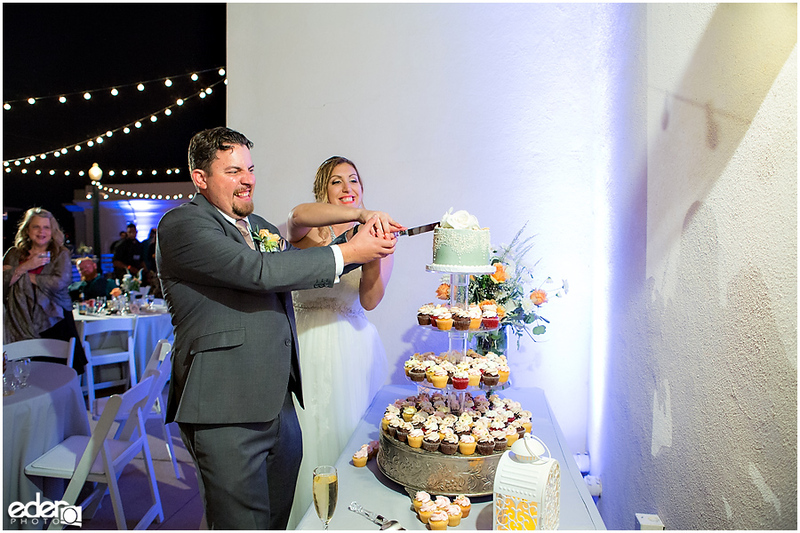 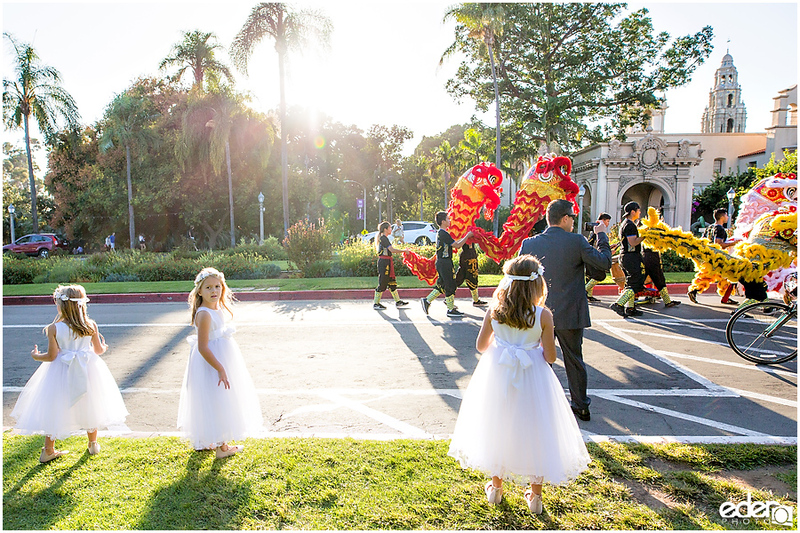 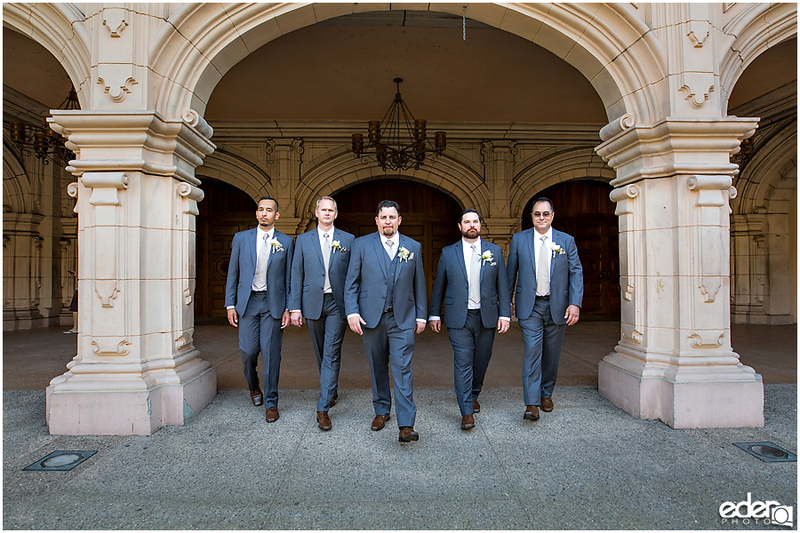 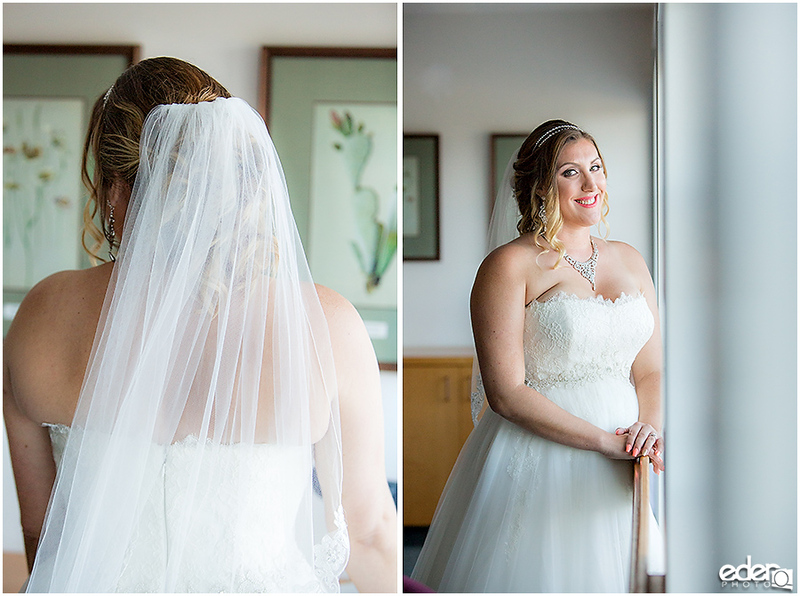 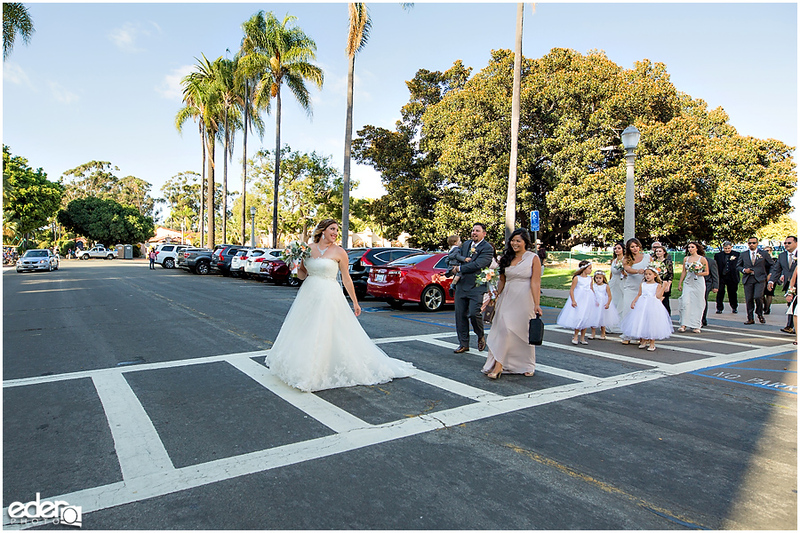 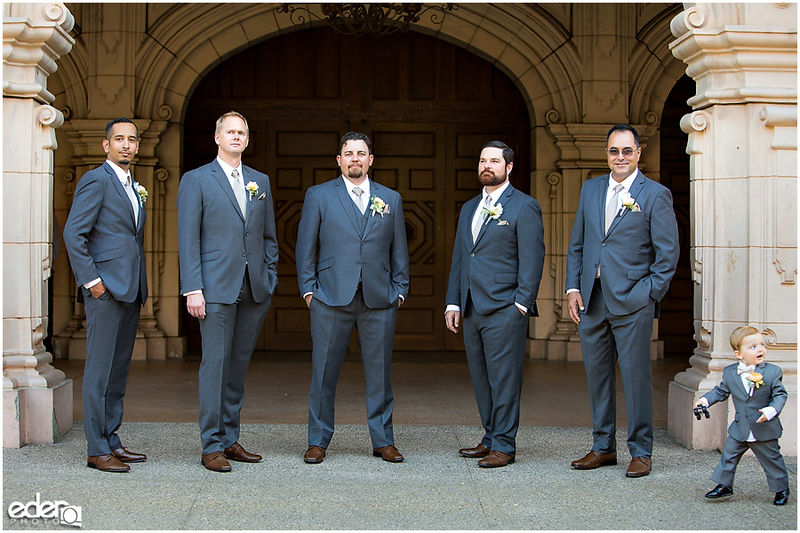 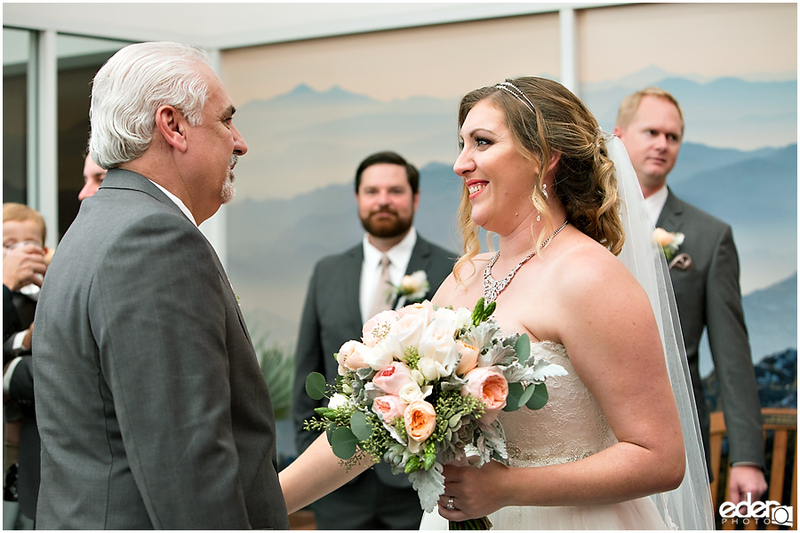 There were many great moments from April and Matthew’s San Diego Natural History Museum wedding. 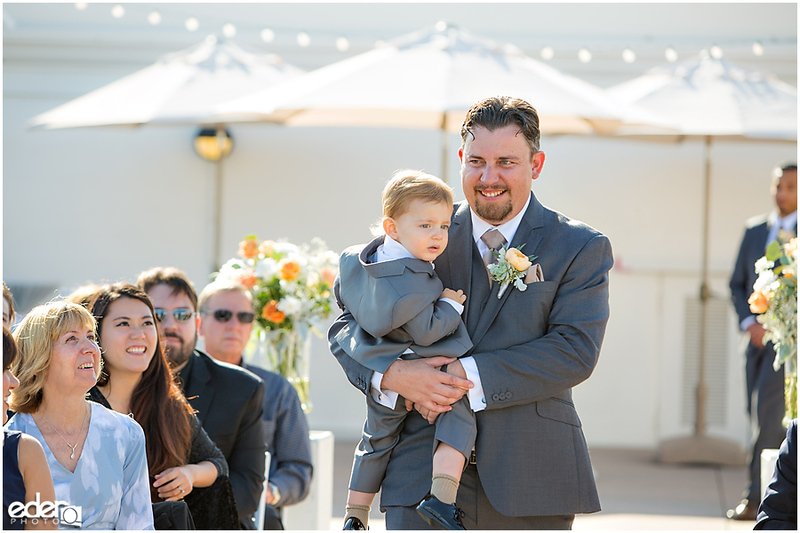 My favorite ones were the small moments in between the big events of the day. 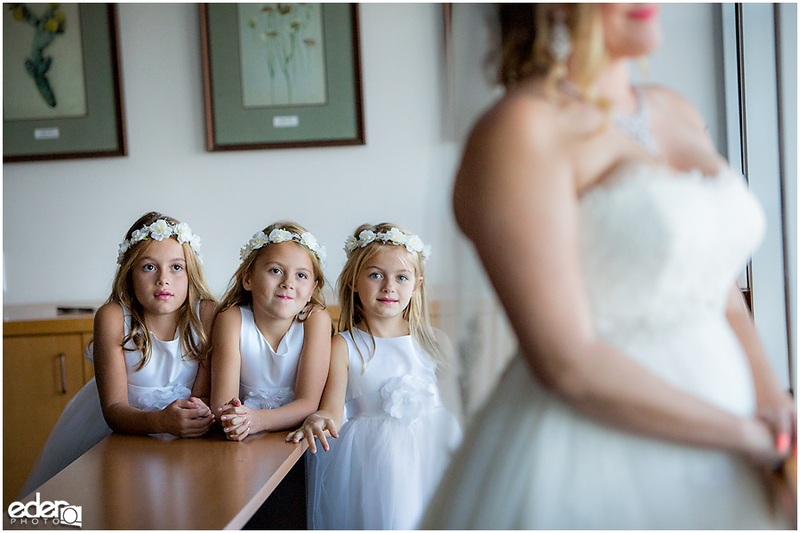 The flower girls gathering to watch April take photos near the boardroom windows. 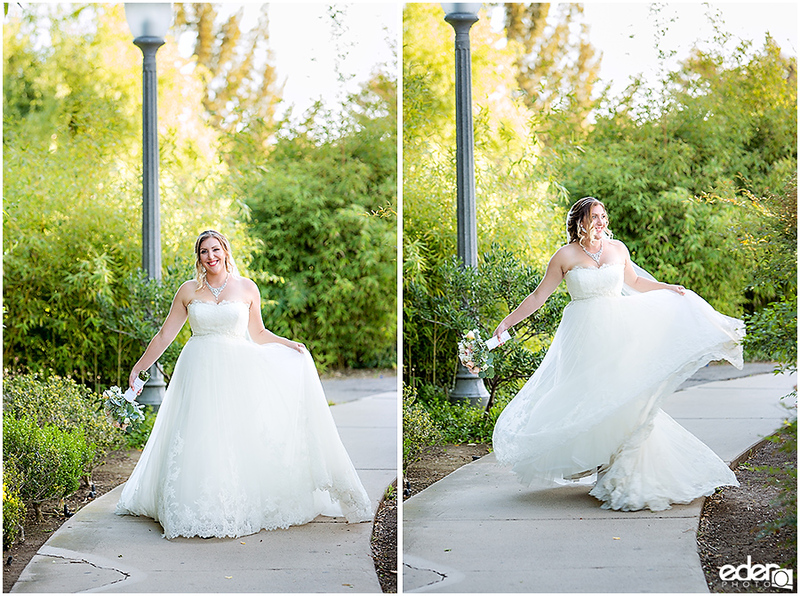 The maid of honor carrying the back of the dress as they came down a small hill. 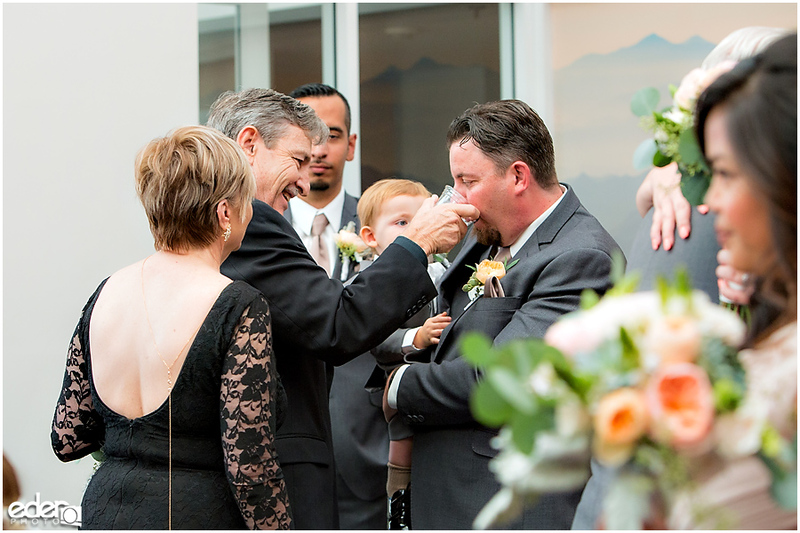 Matthew’s father giving him water as he held his son after the ceremony. 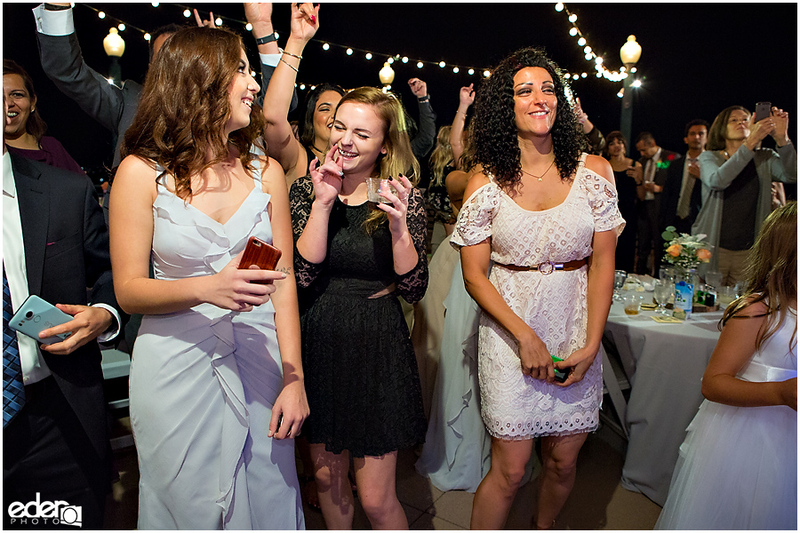 And all the facial expressions that showed how much fun everyone was having and all the love that they have for the couple. 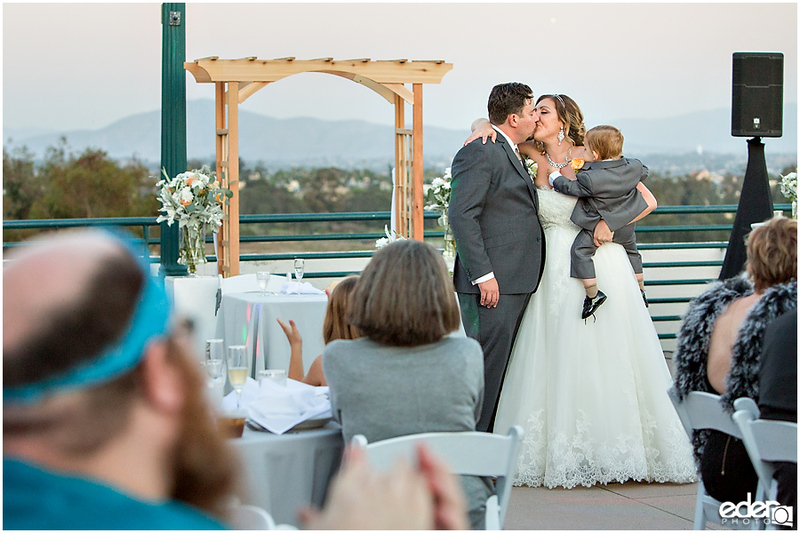 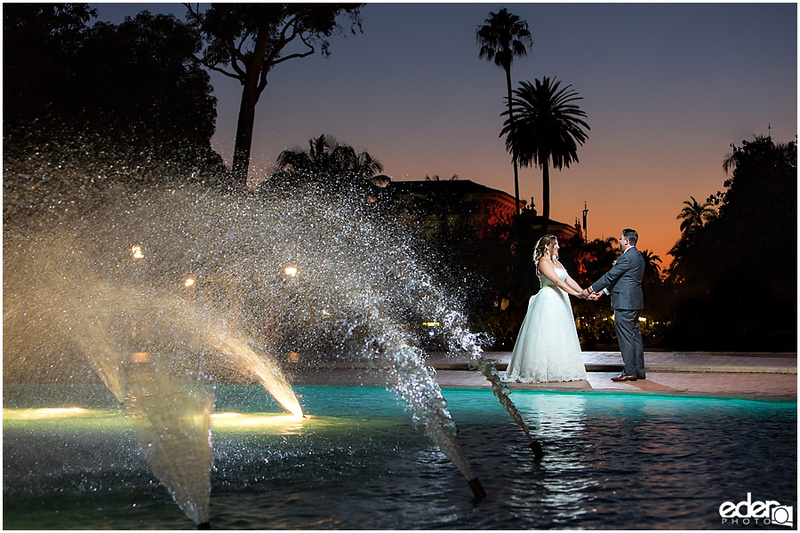 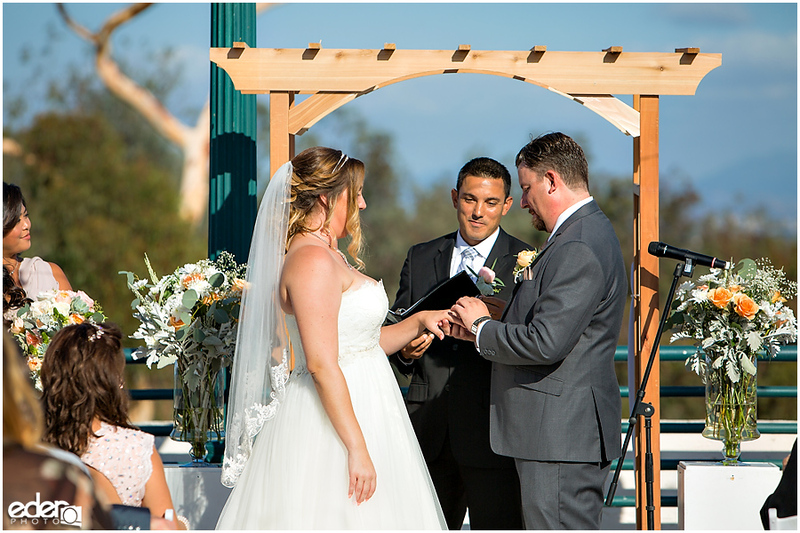 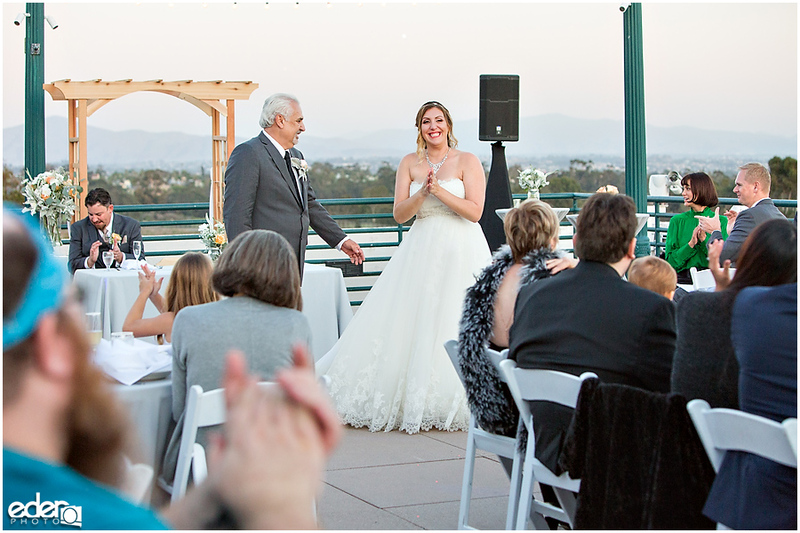 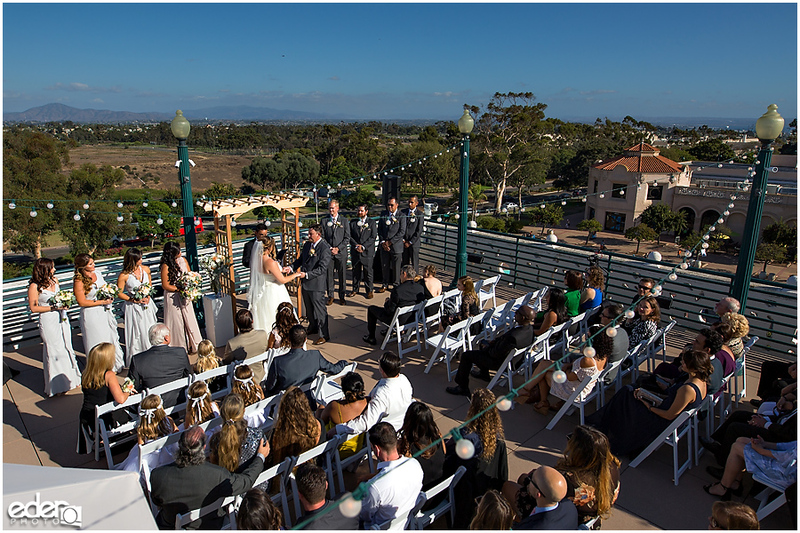 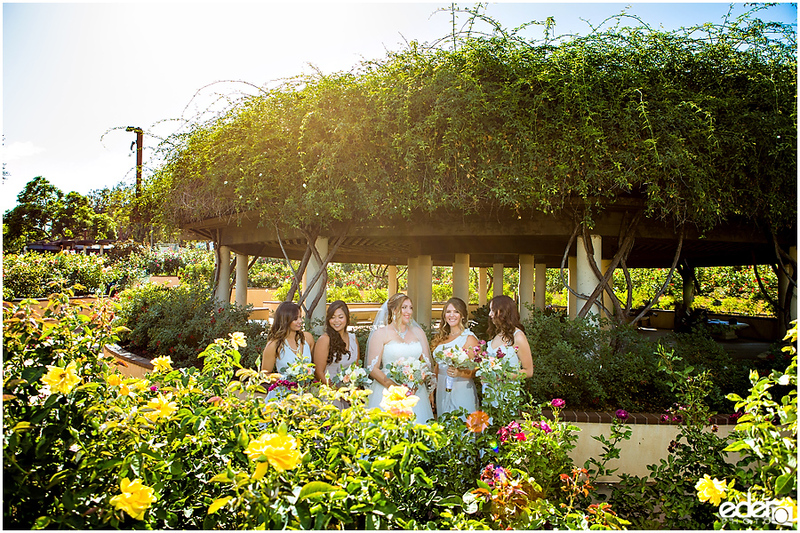 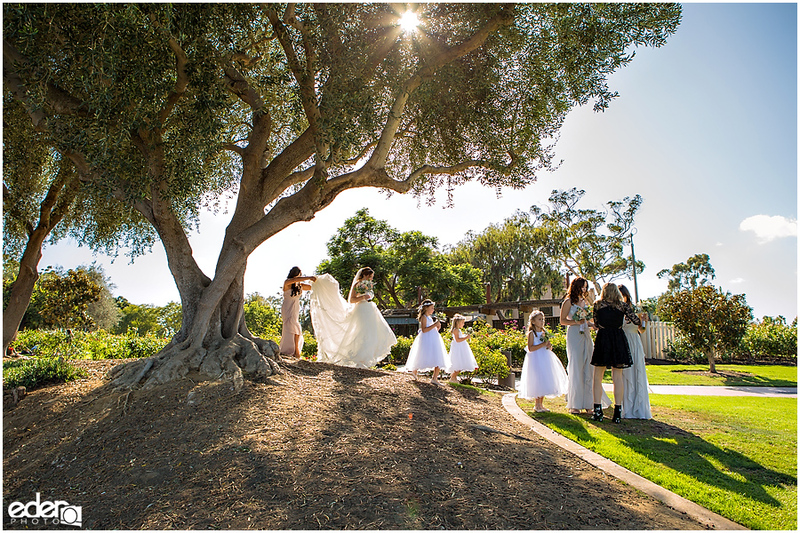 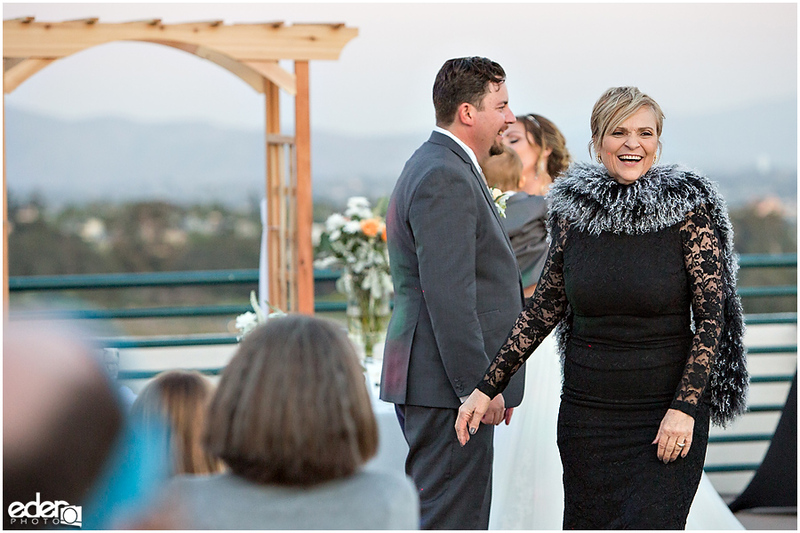 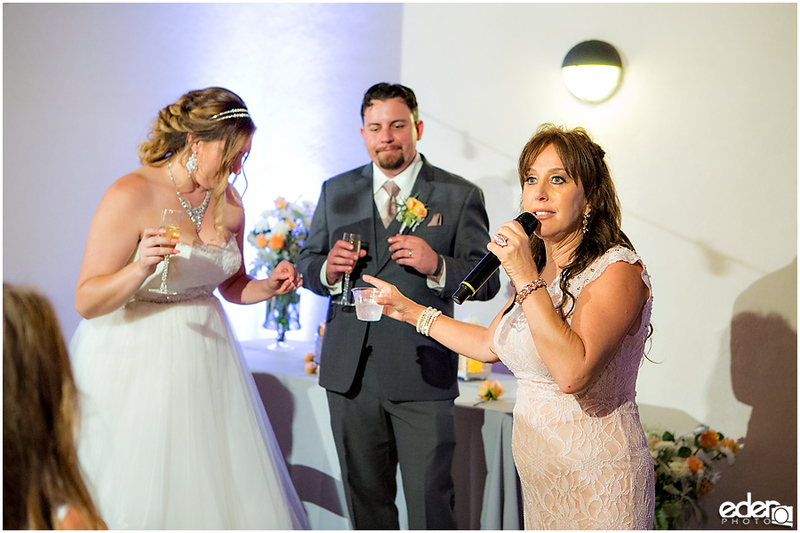 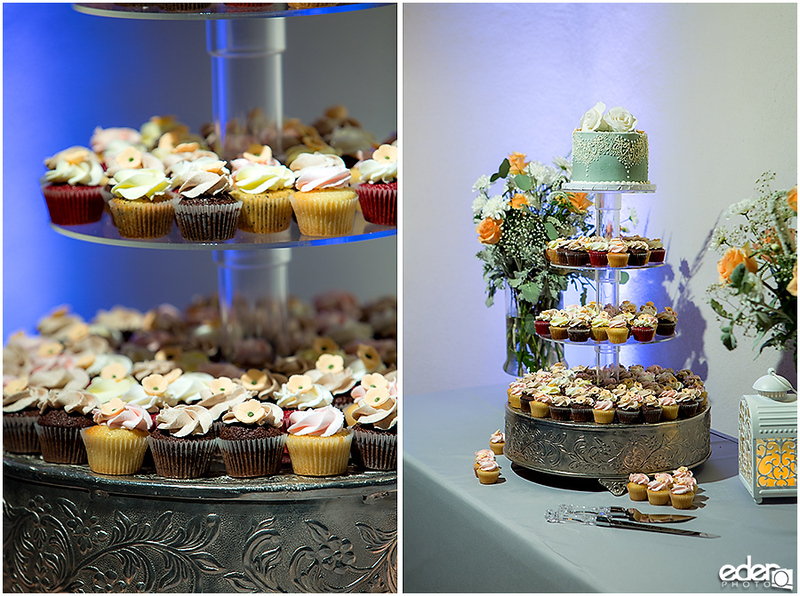 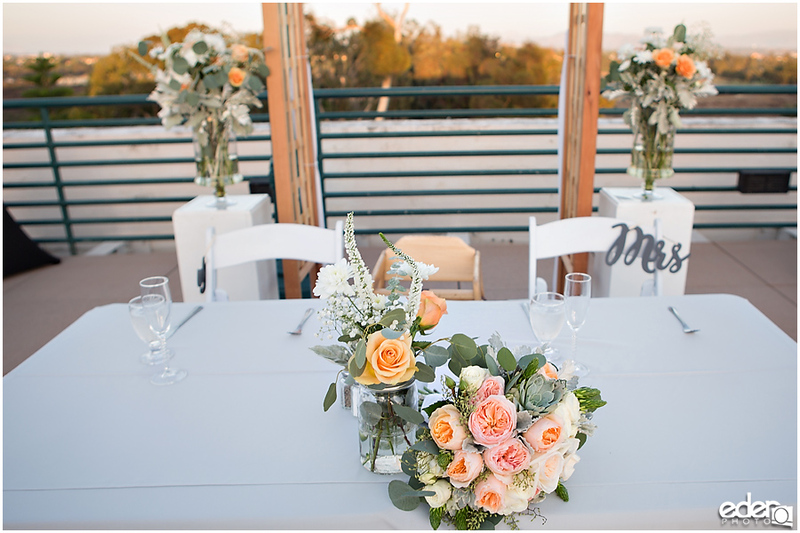 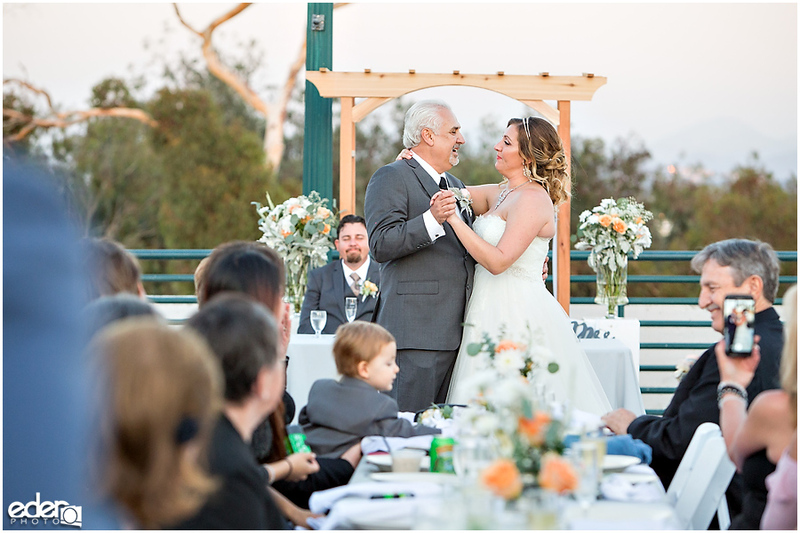 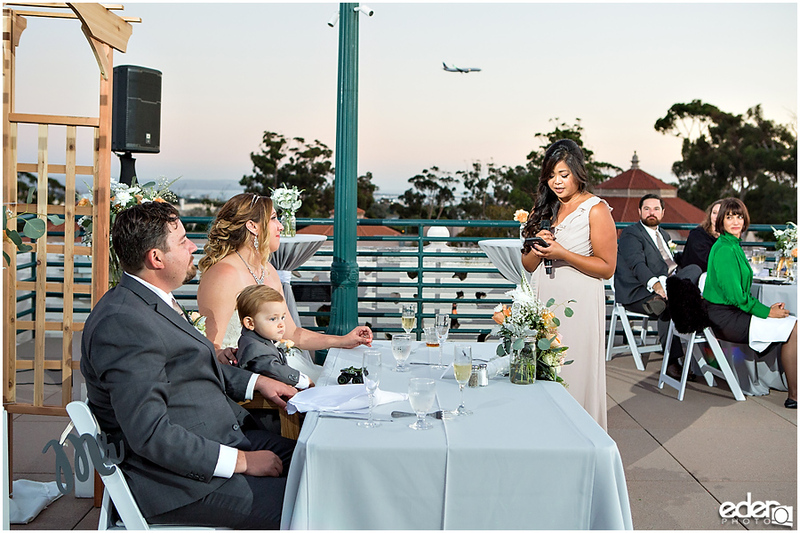 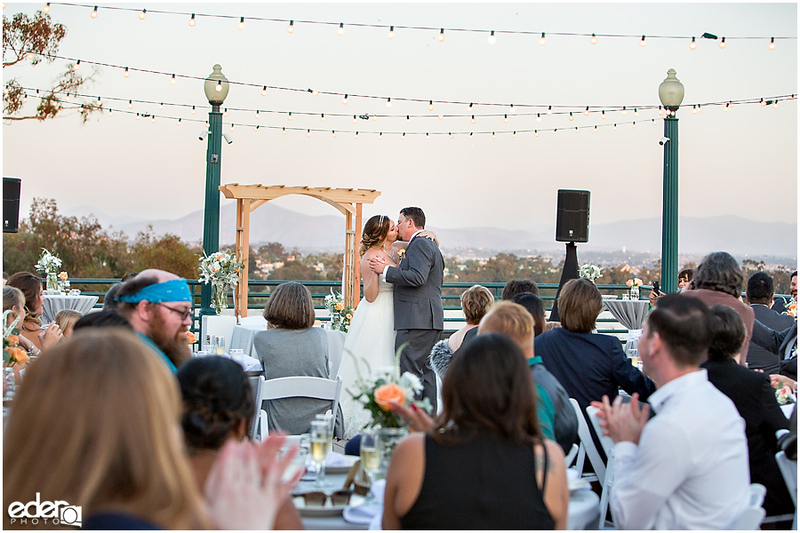 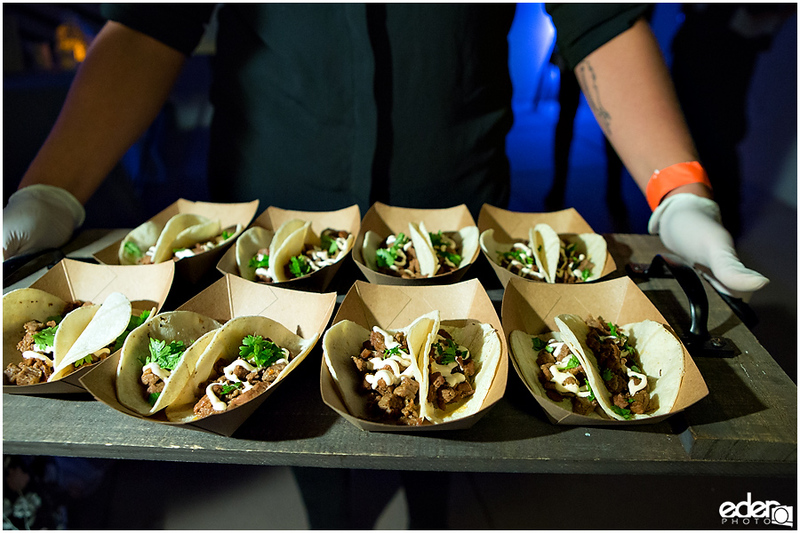 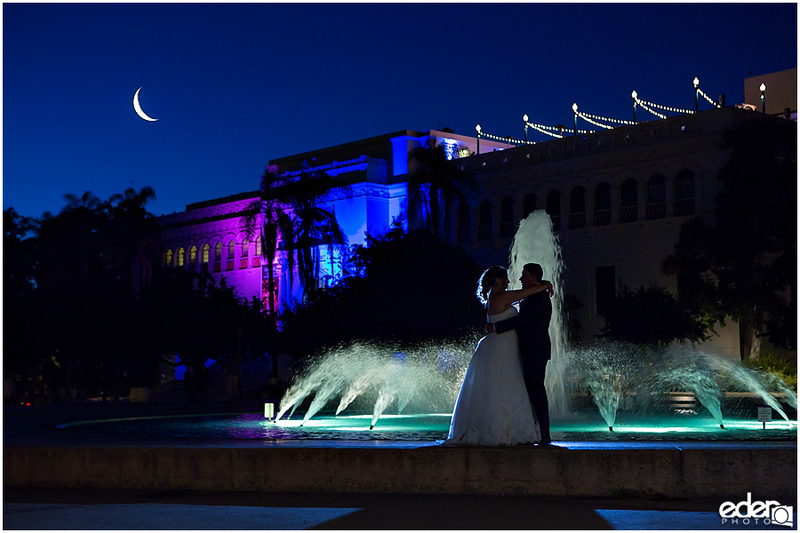 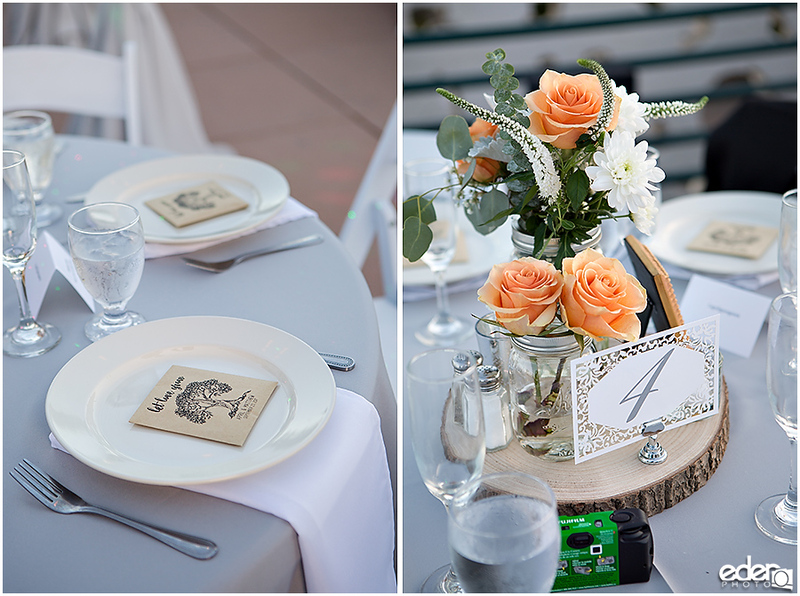 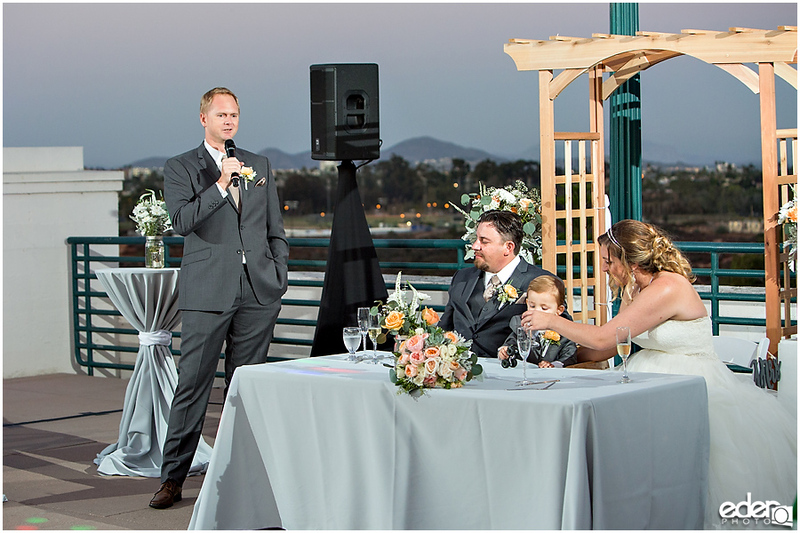 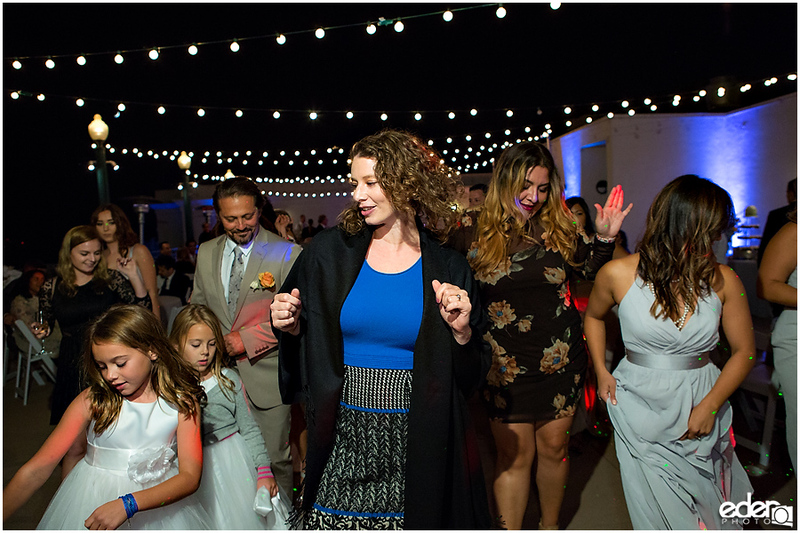 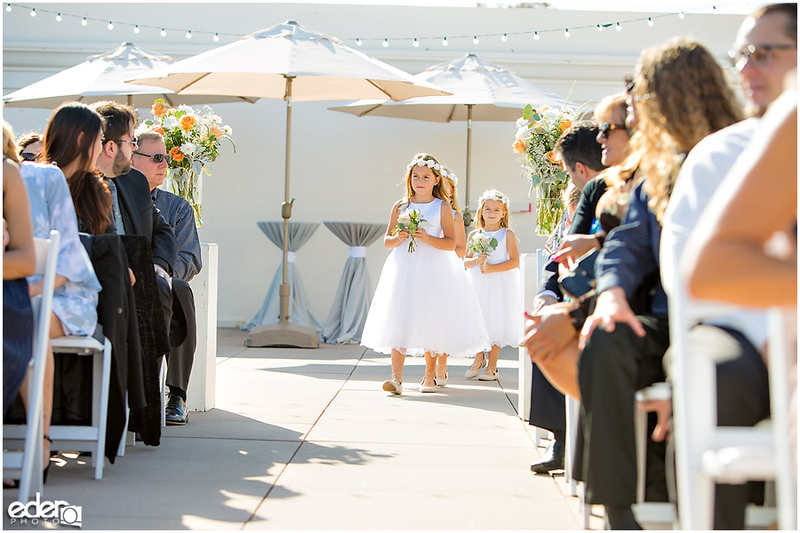 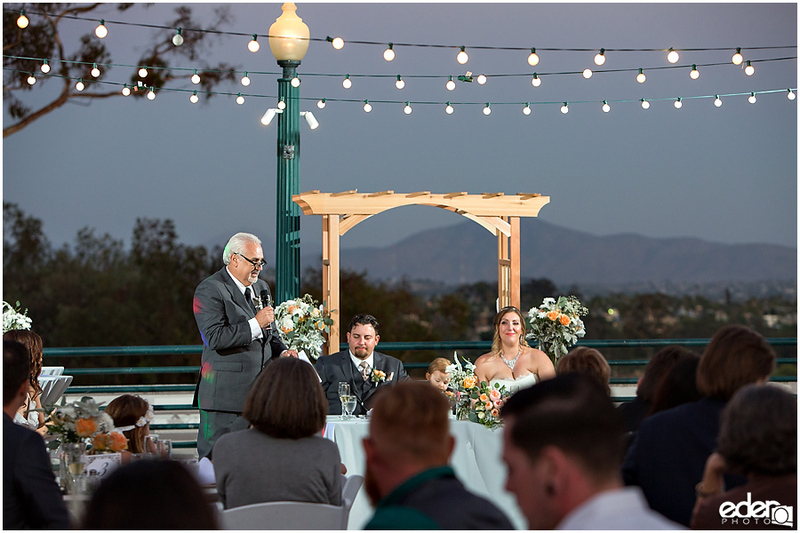 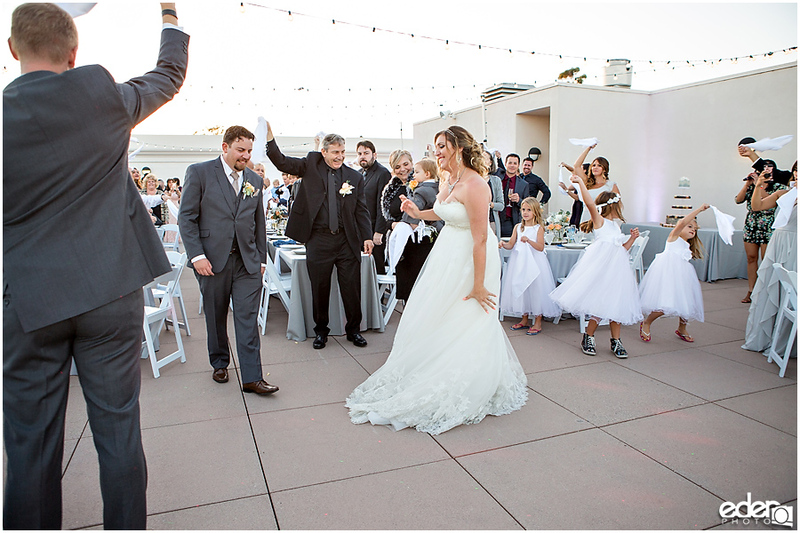 The San Diego Natural History Museum is a great place for a wedding ceremony and reception. 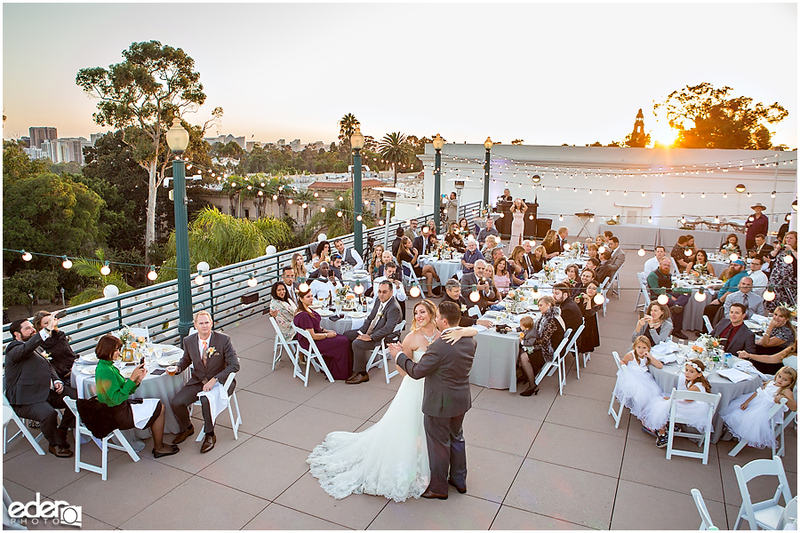 I loved how private the rooftop felt, yet it felt like we were still in the middle of all the Balboa Park weekend energy. 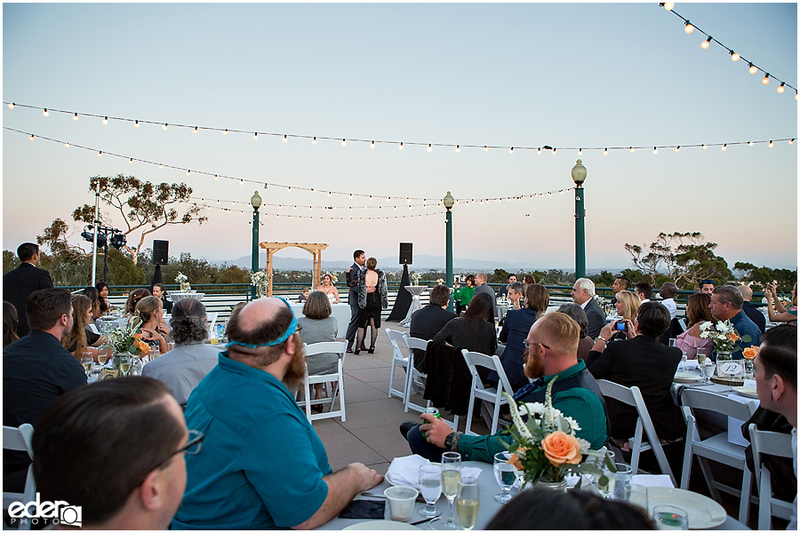 Truly felt like we were standing in the VIP area of the park. 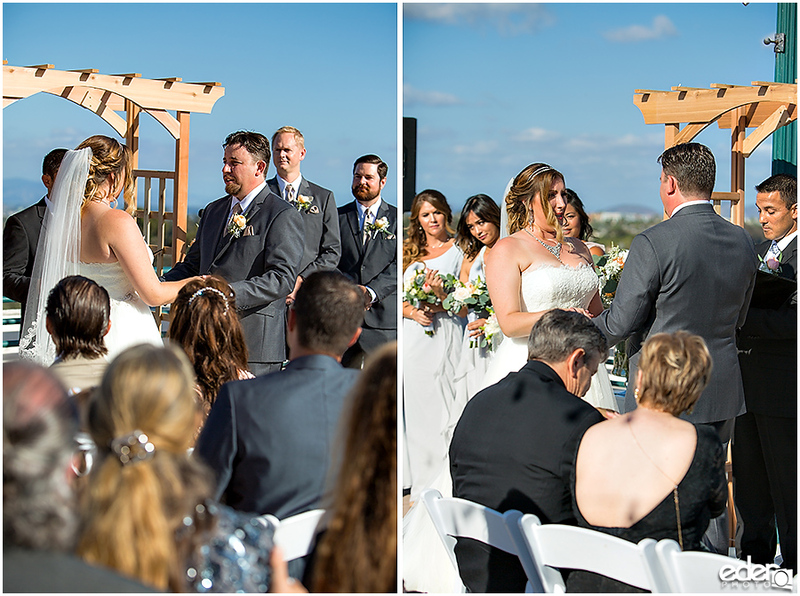 During cocktail hour, they flipped the ceremony space to set up for the reception. 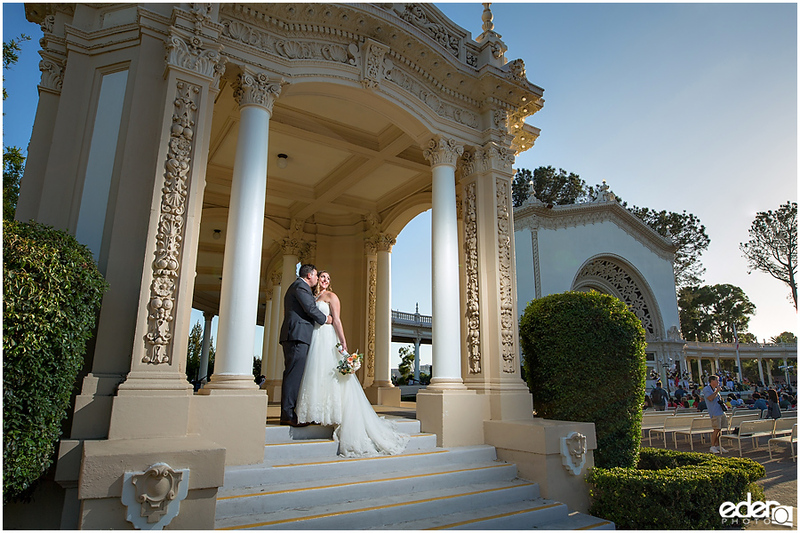 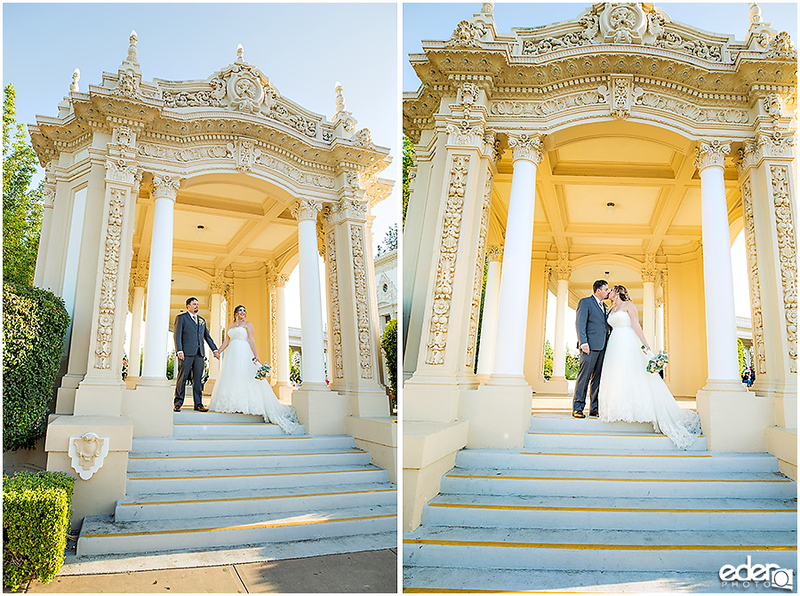 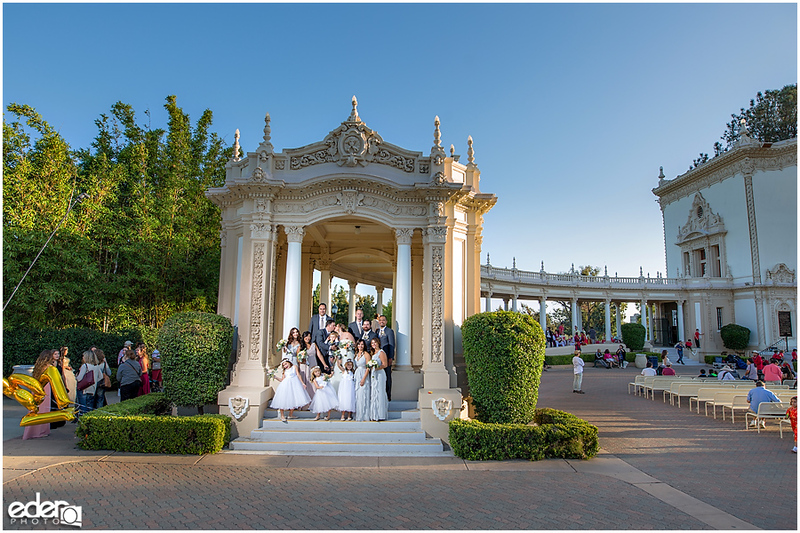 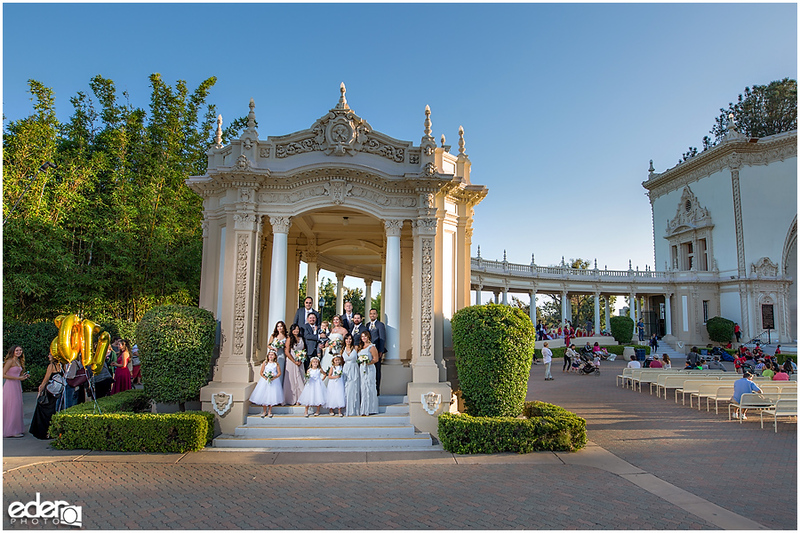 This gave us lots of time to walk around Balboa Park and take photos in locations. 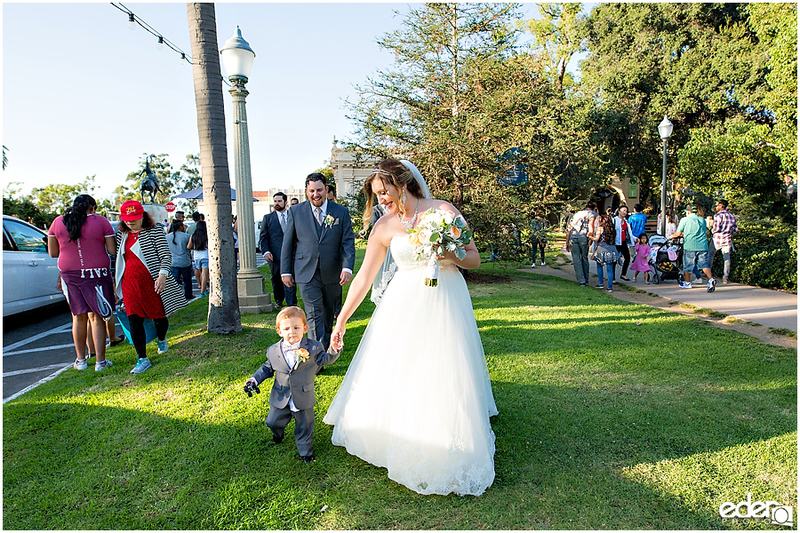 On busy weekends in the park, it’s nice to have the extra time and not feel rushed. 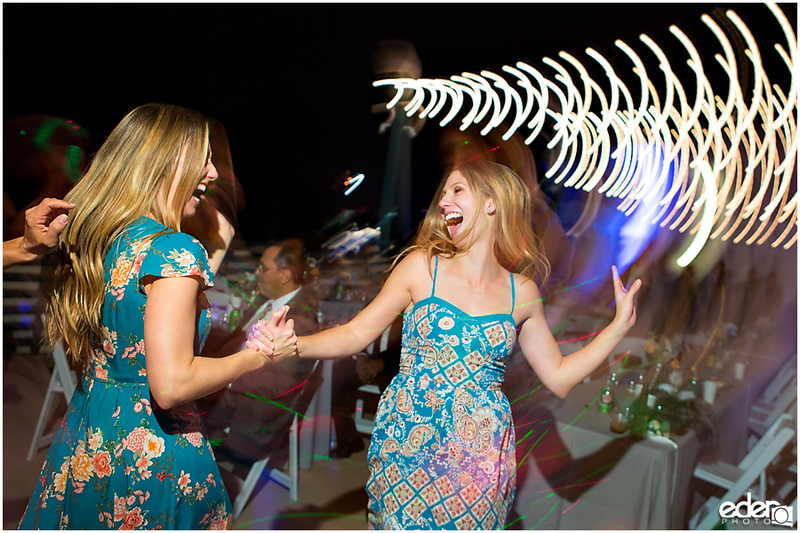 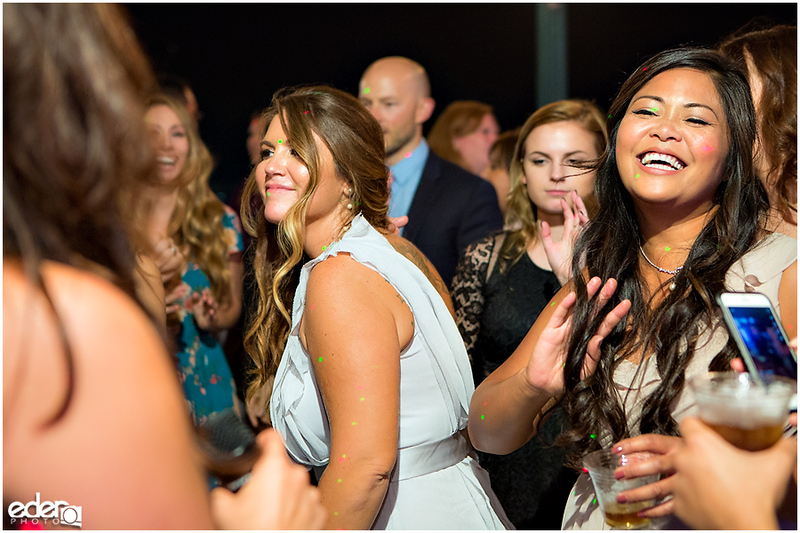 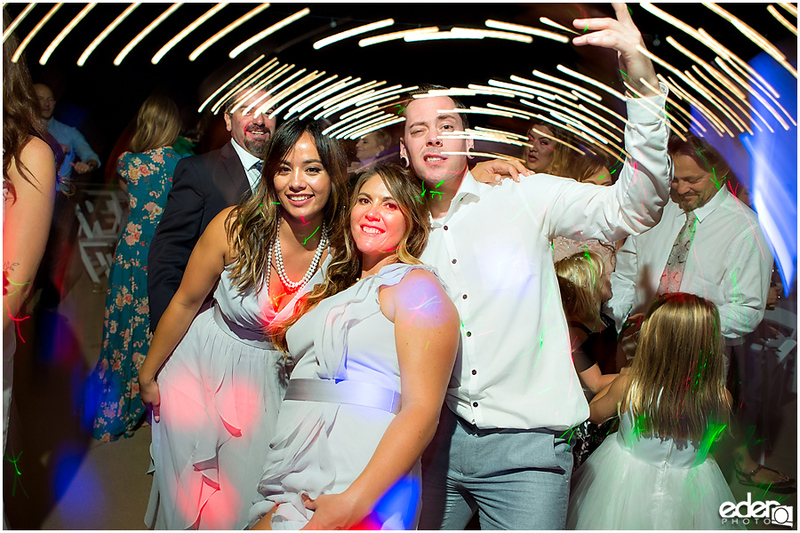 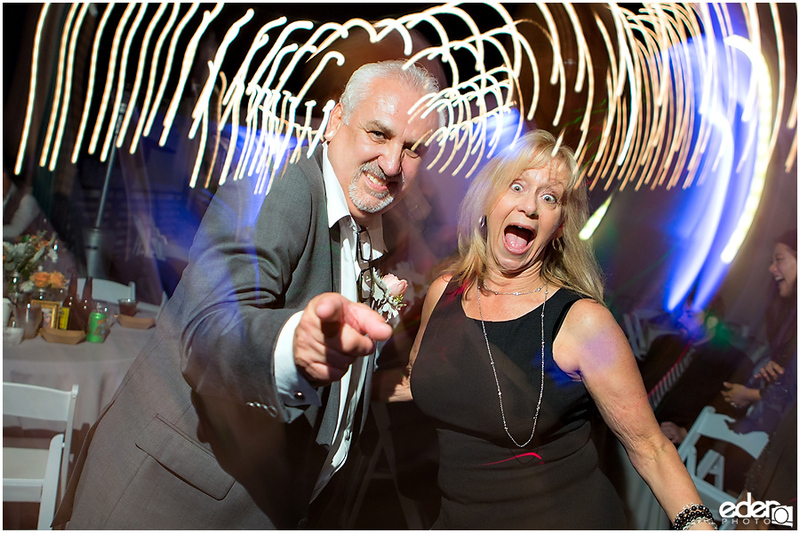 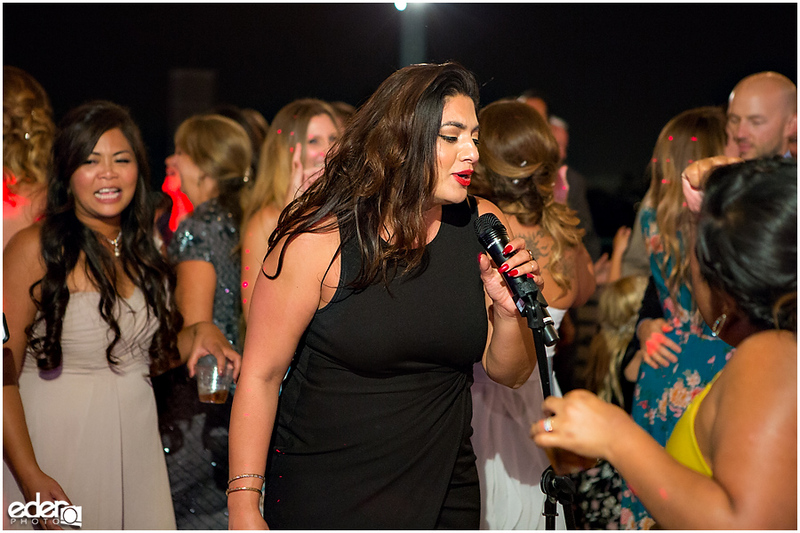 It takes a lot of patience waiting for the backgrounds to clear, lucky for me, I was working with a very patient wedding party.